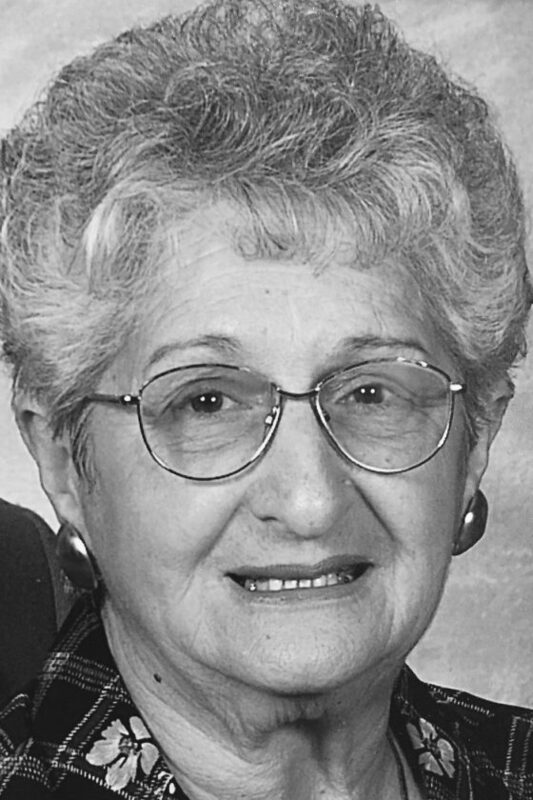 Mary G. “Pippy” DeAntonio, 86, Altoona, passed away Monday at her residence, surrounded by her loving family. She was born in Altoona, daughter of the late Antonio and Angeline (Longo) Colabove. On July 22, 1950, she married Daniel C. “Jear” DeAntonio, and he preceded her in death on April 12, 2011. Surviving are three sons: Daniel J., Frank A. (Penny) and Thomas R. (Tammy); five grandchildren: Dan, Anthony, Danielle, Tommy and Amanda; 10 great-grandchildren; six sisters: Regina Conforto in Washington, Rose Ann Stormer in Texas, and Bernadine Mainello, Betty Carrieri, Lorraine Adams and Carol Marasco, all of Altoona; and many nieces and nephews. Mary was a 1948 graduate of Altoona High School. She was previously employed by Vincent Horowitz Shoe Co., the Farmers Market and Little John’s Party House. She also volunteered for many years at the Mount Carmel School in the cafeteria. She was a member of Our Lady of Mount Carmel Church, where she served as a Eucharistic minister, a cantor and a choir member. She enjoyed spending time with her family and going out to lunch with her sisters. Friends will be received from 2 to 4 and 6 to 8 p.m. Friday, Feb. 9, 2018, at Santella Funeral Home, where a vigil for the deceased will be held. A funeral Mass will be celebrated at 11 a.m. Saturday, Feb. 10, 2018, at Our Lady of Mount Carmel Church. Committal will be at Calvary Cemetery. In lieu of flowers, memorial contributions may be made to Our Lady of Mount Carmel Church, c/o the Organ Fund, 806 11th St., Altoona, PA 16602.